Gossamer strands, loom of twigs. Grim hospitality intended to trap tiny wings. 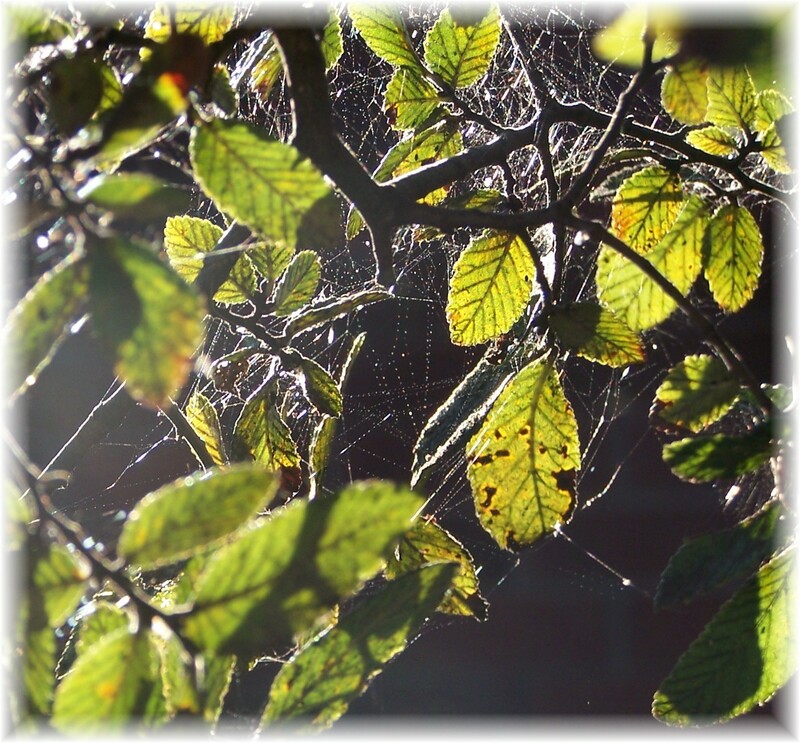 Catching instead, light and dew.